Most of us go through life running away from what we really want to do. How many of us can say “Oh—what a wonderful Monday morning. I am so looking forward to going back to work?” You can? Then I suspect you are having an affair either with your boss or your secretary or a colleague (added after J's comment! :-))—or you must belong to that rare breed who really love their jobs! Often a brush with mortality is what it takes to serve as a wake up call. If you are in your twenties, things like death and ‘living life to the fullest’ will probably be the last things on your mind. You are busy in your first or second jobs, buying a home, a car, finding the right person to spend the rest of your lives with. If you are in your thirties, you probably have a home, maybe kids and are trying to raise them. If in, forties and fifties maybe you have established yourself in your chosen career (or at the very least decided what you want to do) and maybe coping with a myriad issues, realizing fast that youth does not last forever and you better start exercising if you don’t want age related problems catching up. Do any of us really do what we always wanted to? Do we love (and no, its not a typo) like today is the last day on earth? Most of us don’t. It is hard to shake ourselves out of the comfort zone and patterns that we have got into.It is easier to not think, and to just continue with life as it exists. When my dad died suddenly it was a BIG wake up call for me. I realized that life can end—just like that in a matter of seconds. It is so unpredictable. Suddenly a lot of things fell into perspective. There was now an urgency to do things that I always wanted to do, but kept putting off, due to the daily business of living. 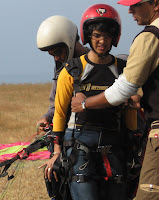 That weekend, we went paragliding. It was exhilarating, invigorating, thrilling. For the first time in years, I felt truly alive. I had blogged about it here. (in case you want to read) Those are pictures of me gett ing ready to take off. Nobody can predict tomorrow. One can meet with an accident or get an illness. Today if one is hale and hearty, one has to grab life. Really GRAB it—otherwise it will slip away. Then live each day, as if it really was. Trust me-- Happiness is guaranteed. death is a great leveller indeed.Its amazing,even though we may be the most benevolent we always wish death happens,to the person next! ! left with just a day,I would spend it with people I love the most...pretend that i will live forever...eat all the chocolates,a day could permit.....laugh a lot....and ofcourse hope that tomorrow never comes! ! loved the previous post...now i know there are a lot more wicked mommies in the world..i don feel so lonely !!!! i dont agree entirely with the "live each day as if it were your last" hypothesis. this time, spoken as much from experience as from observation. 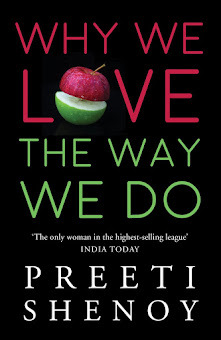 Very true Preeti. I got this wakeup call when I had a 1-on-1 with death long back. As far as list is concerned, I tried doing this exercise long back and wrote down a few points on a blog which I hardly publicize. I still maintain this list. 1. I will make a nice breakfast and then walk my kids to school. 2. I will go for a long walk with my puppies, since that is what I love to do the most. 3. I will come back and write a note to my family to let them know exactly how much I love them. 4. I will pick up kids from school and have a nice family dinner together - possibly followed by a game of scrabble. 5. Will tuck my kids and puppies in bed and let them know again how much mommy loves them - and tuck myself in for the last time with a happy smile on my face. Since no one knows when our last day really is - I should live this happy scenario more often. Prashant:If it was your last day why would you jump off without a rope? To end it sooner? 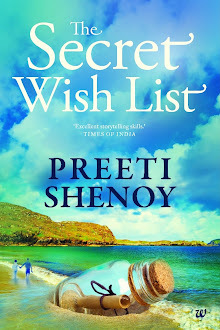 Rohit:Yes--went through your list and left a comment too.Nice list! Brocasarea: Which movie? Do tell! Would love to watch it..And whats a bucket list?Please enlighten! Pink Dogwood;What you wrote really moved me and made me kinda senti..But when I think of it, I guess thats exactly what I'd like to do too. That being said.. most of the times we need/wait for a wake up call before taking stock of things. I guess it's kinda hard although not impossible to do what we want to do. And I think the best part is when one of the things you kept putting off happens.. either planned or otherwise. Its a nice post but its so hard to practice u know. 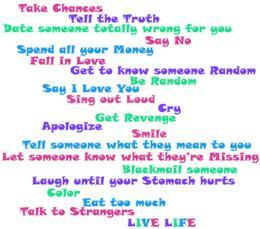 Its not easy to live like today is the last day.Tho it wld be great to. -I'll hug Vinod n goto sleep for 2 hrs atleast(his fav thing to do)..i hope i get some sleep! - I'll write for my organs to be donated. -I'll give my pictures,cards,dairy etc to sis to keep 'em safetly! -If time permits..I'd like to finish the book i'm reading( Not Without My Daughter).I really want to know wat happens in the end coz its a true story. A post which makes one ponder a lot. All of us keep on postponing the things we really wish to do for the "urgent" & "immediate" tasks at hand. 1. Travel to Paris & have croissants in one of the roadside cafes. 2. Read all the possible books I can. 3. Call up people whom I haven't spoken to in a long time. Pavi: yes--its hard to practise when you are younger--but as you get older it becomes easier.We realise the fact that life is short, so much more,because it really is when we are older!BTW, S too read the book 'not without my daughter' and loved it.We own a copy--but I am yet to read it. Palsworld: Thanks you for that FABULOUS compliment. (The last one)I would love to do no.1 on your list too. I think we are often difined by how we react to the things that life chucks at us...I know how deeply your Father's death affected you..but I see also how you have emerged out of those days (still recent) and found new wings! I enjoy my job..but I also enjoy seeing you enjoying yours! 1. Will go and tell my prof (the wolf) how bad he has been and how much everyone really hates him and talks behind his back.. that I'd haunt him after my death if he doesn't change for the better and if he doesn't tone down his thirst for power. 2. Will have lots of chocolates and icecream. 4. Will tell my blogger pals I'm quitting blogging.. I wouldn't want people to call me crazy after reading "I'm dying tmrw.. goodbye!" 5. Anyone not reading this will think I've written 5 points ;) I think I will actually be immobilised if I knew I have only a day more to live! and maybe give a zipped file of the list of sins I have done my life to the priest! i've been here 5 minutes & i dont knw what to write. (finally after another 2 minutes, Nancy puts in her two cents worth)i feel giddy when i swing too high on a swing. Paragliding.....no way(shudder). then i started travelling on footboard of local trains...lols...in edge..lols. 5 things thats very less....will do more.. If I knew beforehand its going to be my last day, I would start the day with an elaborate bath (not that I don't do it daily), and then sit to a hearty breakfast along with my family – my mom, dad and my brother. I'll call up my office and tell Deepak that I'll be on leave (for the day). After breakfast, we'd then set out for a visit to Guruvayoor temple( my mother has been complaining since long that I hardly visit temples!). Before the deity of Krishna, I'd make an attempt to convince him to see my point that it would take more than a day to thank him enough, and all those people who have been instrumental in making my life so beautiful. Once I'm done visiting the temple, the next thing to consider would be a lunch for the last time, and as you might know, the vegetarian restaurants in Guruvayoor gives you the best 'masala dosa's in the country. Surely I'll help myself with one or two. In the evening I would watch T.V with my family. And then I’ll settle down for whats probably going to be my last supper with my family. Being my last meal, I'm not going to settle for anything less than a feast -- lime pickle, pachchadi, puliyinchi, aviyal, cabbage thoran, kaaya elasseri, in the center of a mound of rice where the steam rising in swirls from it, and piping hot saambar in a hollow in the middle of the mound, plus two large pappadams and a glass of water to wipe it down. Now that I've had my last meal, I can't think of anything else other than going to sleep. And what would I love to do if it were going to be one of my ‘last moments’ --this is going to be the easiest of all choices to make among the other choices for the activities of my 'last day'. I would rest my head on my mother’s lap and close my eyes as her fingers run through my hair, as her hands caress my forehead (which I make her do it for me often), listening to my favourite music tracks in the background. I’d close my eyes hoping that I would be granted some more time. Avery tough thing to practise , becos none of us would like to be face with a finality. But its true, that each moment of ours should be lived with satisfaction and have no regrets in life. I would like to go away, knowing that I spent my life here bringing smiles on peoples faces...and whichever way that is possible, that would be the method to live my life...even if it means simple actions every day. Living in the present moment is the key! . Death is sure and you don't have any control over it. Your birth is by default you don't have any control over that. only thing we have is our life, it is in our hands, making it merrier or messier is our choice. Heaven is here and hell is here, choose the best. Being here and now or living moment by moment will make our life more interesting. 2. See the city by day all by myself. 4. Go off to sleep on the floor next to my parent's bed. Paragliding? Wow - the other day I met someone who had just experienced sky diving and now I read about this. Maybe its a sign that I should forget about my fear of heights (even simple plane journeys are taxing for me!) and try something soon. Second Madhumita in her comment. Paragliding!! Wow!! Would love to do that some day. 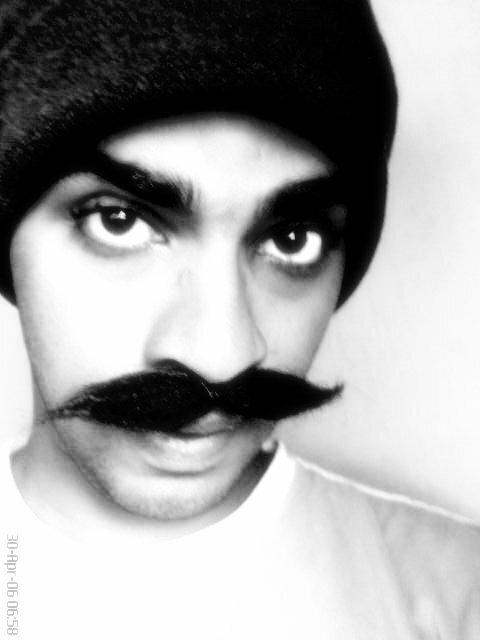 3)Write long, elaborate letters to my son...Maybe even make a video of me giving him gyaan! Though, ideally, the motivation would be more if I knew it was my last Month or last Year on earth...Then I'd live my life more meaningfully.. I pierced my belly button a few days ago coz I suddenly got a fancy for it... Im getting a tatoo soon as well.. So abs no waiting for tom... Just do what I want TODAY!!!! Preeti: Would you get married for ONE day? The others I too coud relate to. Mathew:The last one was too hilariuos--sorry couldnt help laughing. Thinking aloud: actually I guess,even I'd prepare my kids at least--if today was my last day.I admire the fact that you want to learn something even on your last day! Enigma:You are really wise for your years--and you are so right in what you say about the job. Nancy: :-D You are incomparable! Balu: I love the guruvayoor dosas too--and OMG--you have really created vivid imagery with your descriptions.Cannot help feeling moved. Prats: true--it is hard to practise. I guess thats why we all need little reminders--at least I do. Fruitu:yes--you explained it better than what i did.What you said is what i meant. 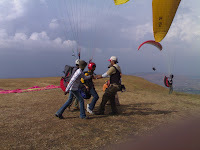 Madhumita: I guess each one to his own--if you are happy not paragliding why feel complelled?! !I'd incidentally be equally happy curled up under the blanket with a good book. RajK: you raised a very relevant point here--Organ donation.A friend of mine has also pledged his organs.I guess more than the person himslef, it is his near and dear ones who have to be counslled! We hear day and day again about living each day like its ya last. But it just never really sink in. This post is thought provoking for me. And somehow just what i need. ***I was so happy that I did something that had been on my list for ages. nothing beats the satisfaction of seeing ya list come to form. Kudos! 1. Tell people i love them/forgive them. 3. Plan a party for the family that night. 4. Write a letter to each and every family member, friends and relatives. 5.have the best party with the family and friends if possible. take pictures, video a day for them to remember. And tell my parents some details about my life that they will be able to carry with them if they were still around. to encourage and move them along. I guess i would have more than 5 things. Its a little heartbreaking to write this list of 5 things out. But a good try. Loved the picture you included at the top of your post. Sweetsticky: Writing a letter is such a beautiful idea.You know, no matter how much i try, some things I just cannot forgive.Maybe I have to evolve a bit more!Your point number 5 really moved me. hey no, i would not want to learn anything on my last day...how would i? I would want to sit beside my family the whole day, just holding hands. That is the only thing I'd like to do. I havent thot anything.. Like evrybdy i have assumed that I am gonna die of old age. 1.Tell my parents how much they mean to me,how lucky I'm to have them..n how I'll always be there for them..ALWAYS. 3.I'd have last rendezvous wth all my frens gangs,being like I always am. First time visit here:) from vidya's blog entry..
i wud say, i was astonished by the first sight itself :) simply cool layout and i liked it very much..
the notebook like blog page is awesome.. some lines it follows the orientation but at some paragraphs it does not.. may be a little disobedient .? lol.. If tomorrow comes - well an insightful caption as well blog post! congrats! well, an excellent opening with a nice question! yes mam. at times i have felt the same. but not with the so called love you described perhaps being one of the rare breeds? :) but not always.. fact agreed! it reminds me of the song in the tamil movie 'baatshaa' wherein the song will classify your ages in the factor of 8.. from 8 to 64... 8 sectors!! Fantastic! It again reminds me of Robin sharma's lines in his book 'The Monk who sold his ferrari'.. same he used to say in one of the chapters! i somehow try to follow i would say. perhaps sometimes we do have relaxations -- not to deny! hmm.. it is true.. but after all the comfort zone is nothing but our own imagination and mentor for our actions... right? only when we think of resisting, the flow of thoughts increase.. isnt it? law of thoughts rather? Sorry to hear this.. yes but thats right.. those are the moments will really drive you!! very true.. Situation is the best demanding factor! well said and agreed! yes, mostly people realize this only when they are inside the circle!! if otherwise, most of the issues would not exist at all.. its my feeling!! again a mirror image of Robin sharma's TMWSHF book... as what he callled as Magic Book in the chapters..
yes i agree we can prioritize the things and start executing it in the order.. i think i wud make a post and tell you.. alright? Excellent!! Sometimes we do have obstacles.. without which life is incomplete.. but at the end of the day it does matter how we have been perceiving and reacting to the things.. Enjoyed reading your post.. hope the lengthy sequence of comments did not cause any incovenience!! Great work .. keep up the spirit.. Great times ahead.. The unexpected loss of someone you love, makes you think hard about everything in life. Often with a different set of eyes. I learned that too, the hard way. So what would I do, if tomorrow was the last day? I am not sure. The question reminds me of two things - Mitch Albom's book, "For one more day" and Tim Mcgraw's song "Live like you are dying", both of which I enjoyed. HM: I loved Mitch Albom's "tuesdays with Morrie' Thanks for the song! Vidya;Glad it made you think. Nan-rock: Last one was sad--others i think really show us what matter, right? Jumpa: Sometimes thw wind really plays villain--in my case, just after i took off it stopped.I was lucky that day. Punam: I would like to meet all the people I haven't met! Wow! what a coincidence. I just got back from watching "The Bucket List". It was a very touching movie that ends saying all our lives are like streams that flow towards whatever ocean lies hidden beneath the mist. You have written about a very relevant point - I think our generation is pockmarked with a vague dissatisfaction. I met a lot of folks that are successful but not happy. Is it because the world around us is changing too fast and we are not able to keep up?